I’m not sure why October is my favorite month. I love the feel of it. Everything feels a little “different”. Living in South Florida there isn’t that much of a change. It’s still mostly sticky. Uggg. Don’t even get me started on how I would love to wear layers. You’ve heard of a bikini body??? I have a layers body. A mighty fine one at that. One of the main reasons I want to move north is to be able to experience a legit fall. Trees, hay rides, hot apple cider. I fake my way through fall in South Florida. All you have to do is crank the AC down and pull out cozy pj’s. I make the best out of my regional situation. 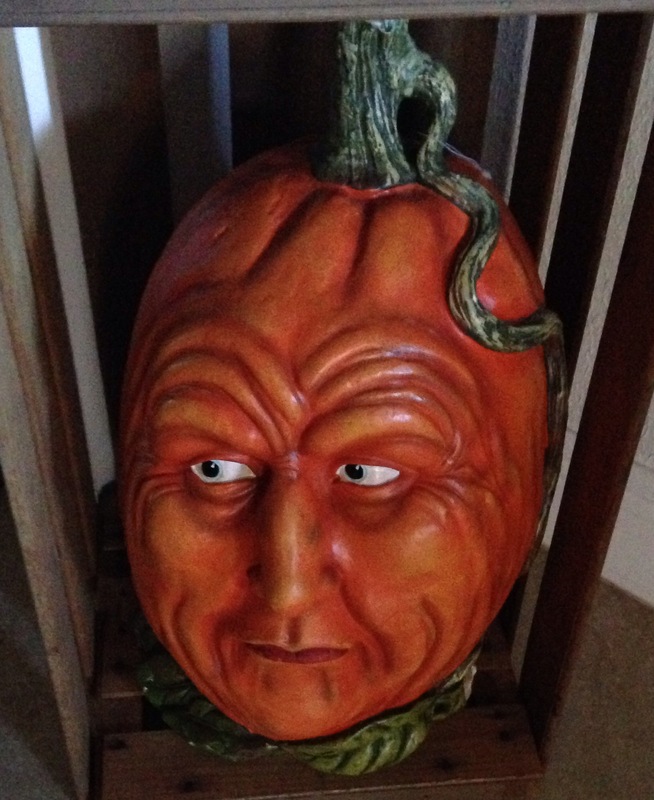 I have this problem…where as soon as Halloween decorations come out in the stores…I put them up at home. Yes, before October… I would keep them up year round…but even I know that is questionable. The first gift Billiam ever gave to me when we were dating was this guy. Yes, a pirate skeleton. Romantic right? Every year we dig him out of the Halloween decorations, Billiam likes to remind me what a lucky lady I am. Over the years…I have fallen in love with Dept. 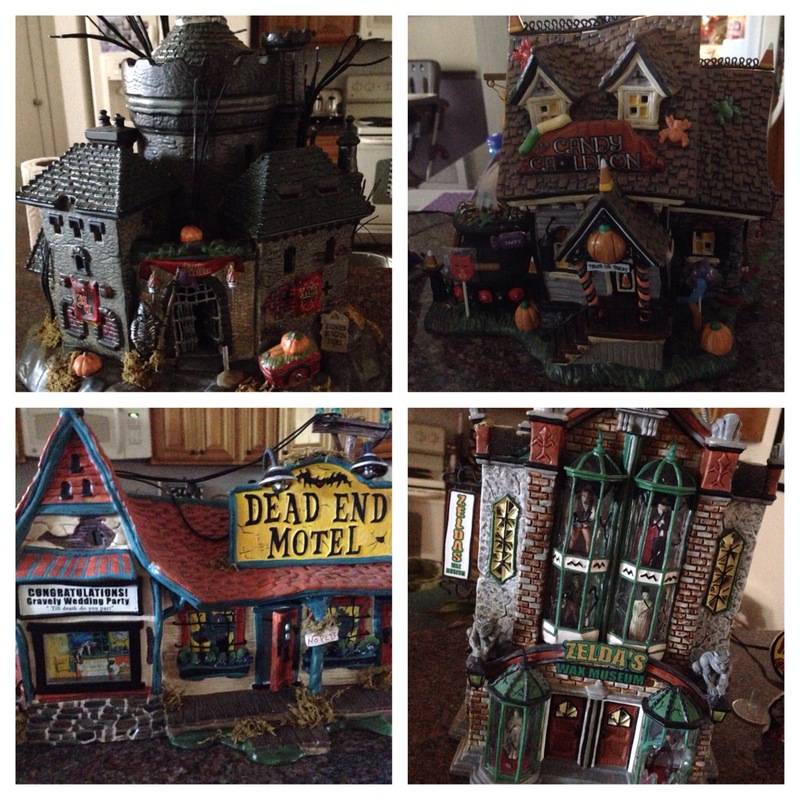 56 Halloween Village Decorations. That love affair ended quickly when Hucklebaby was born. So I’ve downgraded to the Michael’s Lemax Village. (they are much cheaper) Think Tory Birch vs. Target purse of Halloween houses. I’m still loving this Halloween house I made a few years ago. You can still see the original blog post here of how I made it. 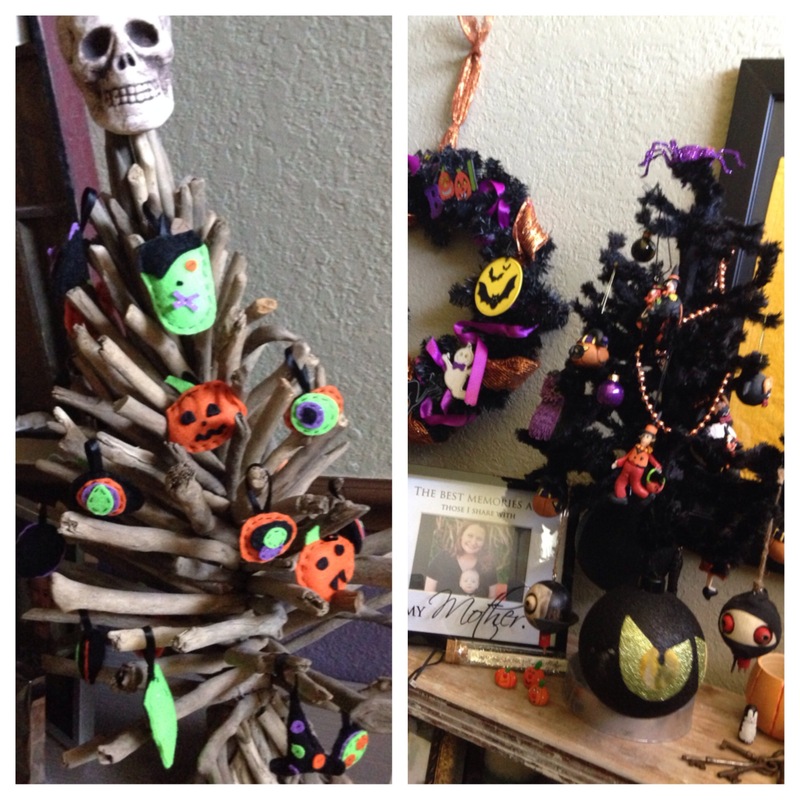 Here are a few of my other favorite decorations from around the house. I would show you all of them…but I’m afraid you would judge me, and rightfully so. I’ve been brainstorming Halloween costumes and don’t like any of the cutesy toddler stuff I keep seeing. 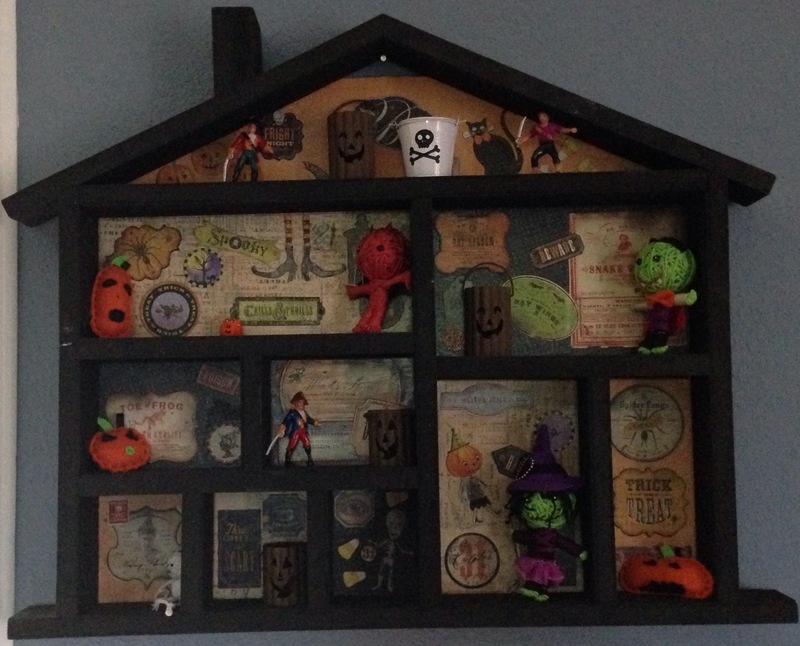 Because I’ve scaled down my Halloween designer decorations…I’ve started adding to our collection of Halloween books. I want Hucklebaby to love this time of year as much as I do. Plus…I’ve got this thing about never having too many books. Those books never stay organized for too long. I’m ok with that. 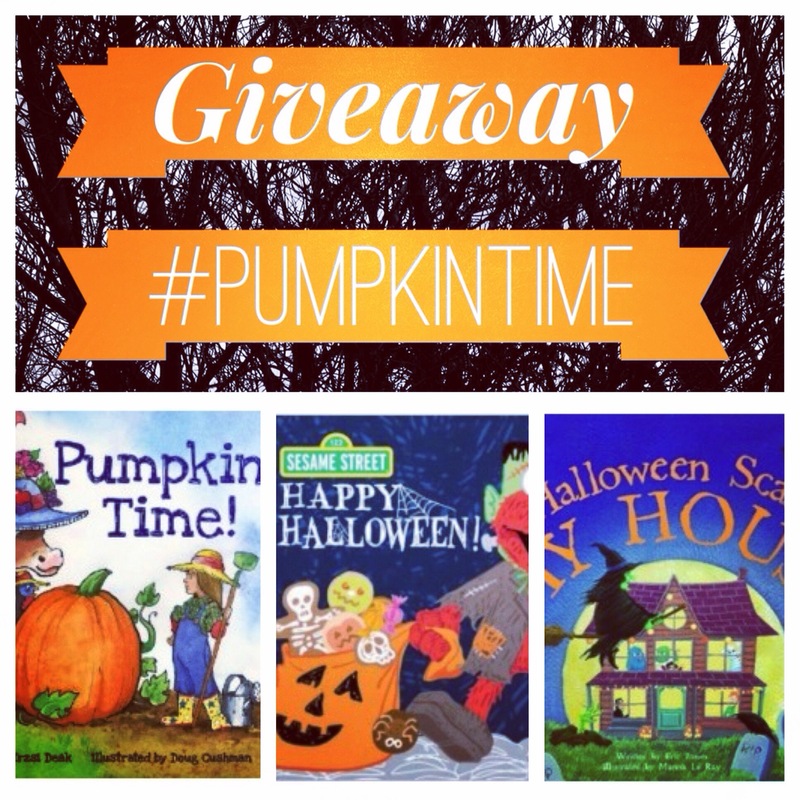 Because we love Halloween books around here…we want to spread the love! Here are the books that could be yours! What are you/ your kids dressing up for to Trick-or-Treat? Plus…Hucklebaby homemade costume suggestions. Make sure to follow @mariannafrances on Instagram for an additional chance at winning. love Halloween!! Fall is our fav season too. You don’t want to move up north tho, it was snowing where I’m from in Wisco this past week. I do miss the changing of the leaves though. This is our baby’s first Halloween and he’s only 2 months so we have a cute sleeper and onsies to stick him in to give out candy. There is no such thing as “too many books”! My 2 1/2 year old has access to close to 500 kids books…and I have a few boxes more in the basement for her when she gets older! I love the fall also- and it stinks that we don’t get a true change of seasons here in FL. This year, my 5 year old wanted to be an old fashioned skeleton for Halloween. Since I wasn’t crazy about the party store offerings, I came up with the idea of using those cute skeleton themed pajamas that they sell this time of year. I got the Carter’s ones, and they even glow in the dark! The best part is, he can still use them as pj’s so it’s not a totally wasted purchase. That’s a win in my book!